Bronx born Stephanie is a pianist, teacher and composer in the Bay Area. She holds a Piano Performance degree from the University of Michigan School of Music. In addition to classical performance, Stephanie plays in ensembles of Brazilian jazz, rock, klezmer, pop and jazz and has performed at the San Jose Jazz Festival, The Jazz Conservatory (Berkeley), The Sound Room (Oakland), the Vancouver Folk Festival, the National Women’s Music Festival, The Jazz Bakery, LA, The Jazz Station, Portland, and the Healdsburg Jazz Festival with Grammy Winner, vocal icon Leny Andrade. 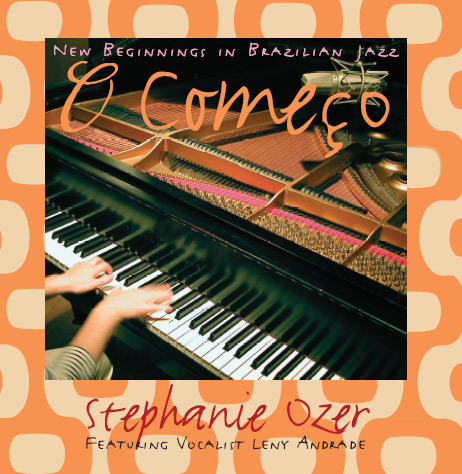 Stephanie is currently heard around the San Francisco Bay Area and nationally, solo, in jazz and Brazilian ensembles, and with As Três Meninas, a trio of collaborating bandleaders crafting unique arrangements of Brazilian Jazz. Recorded in Rio de Janeiro and the San Francisco Bay Area, the CD features legendary Brazilian vocalist Leny Andrade along with stellar musicians from these two great music regions.